This is a candid shot I captured immediately after this couple was pronounced husband and wife and exited the Holly Hedge courtyard. 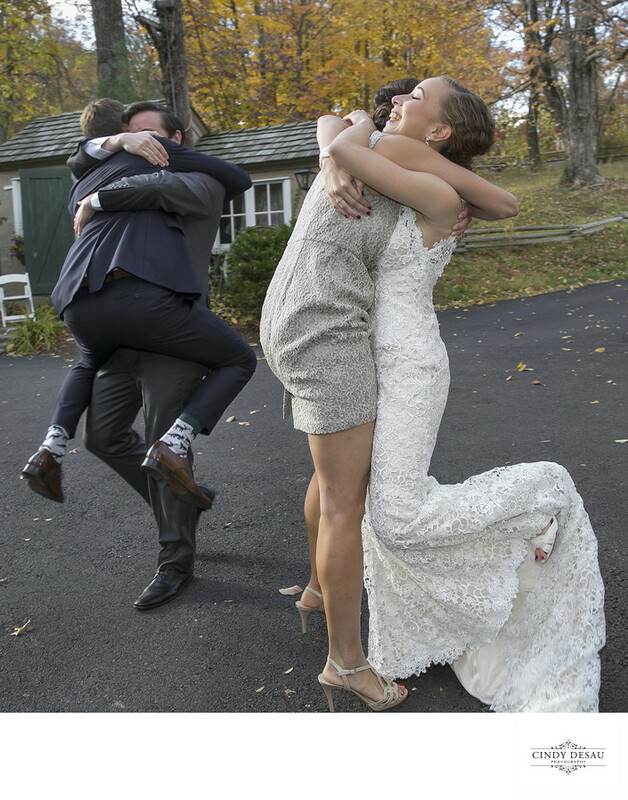 The groom leaped into his best man’s arms! I don’t think I ever witnessed or photographed this before. The bride also heartily embraced her maid of honor. I love being a witness to such happiness and capturing the moments for my clients for them to relive always.